Dry corainder or dhaniya as they call it, is a common spice which is usually used in savory Indian dishes. 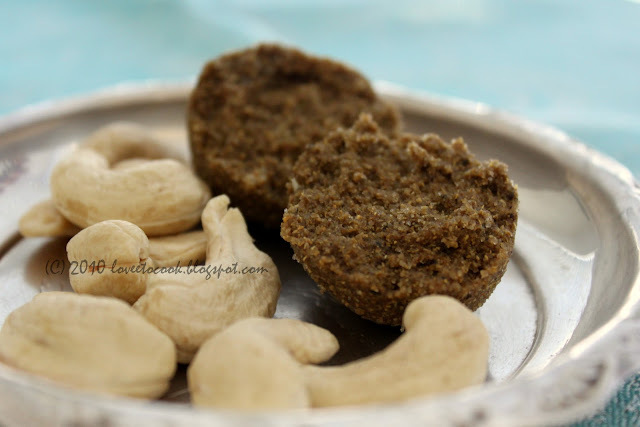 Making a ladoo or sweet rounds may be unusual or new to many of us. This recipe has been in our family for a long time with my grandma making it often as an offering to god in her temple at home. These ladoos have been my favorite since childhood and it was only recently that i learned to make them myself. Again a very simple recipe. Definitely try and taste , you'll certainly love the different flavour and texture to this sweet. Mix all the dry ingredients and add warm liquid ghee to bind until small round balls or ladoos can be formed. Serve at room temperature. Refrain from eating too much at the same time. Very interesting laddoos, very new for me.. 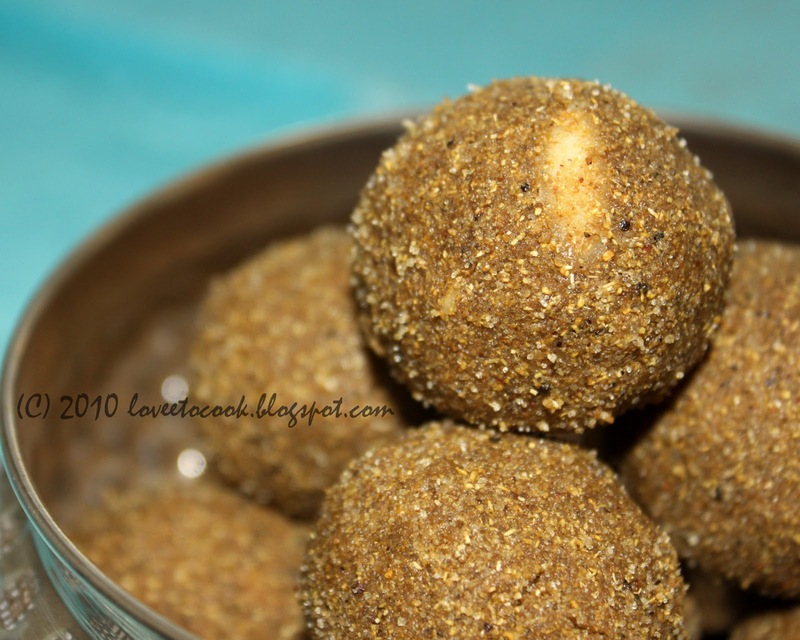 Wonderful and healthy laddu recipe.. looks really good ! !